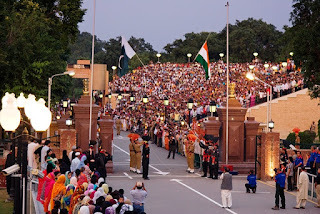 New Delhi / Islamabad, August 22, 2015: A week after both India and Pakistan celebrate their 69th Year of Independence, the civilians of India and Pakistan seek to resume dialogue closely on the heels of an impasse between the Governments of India and Pakistan in the NSA Talks. The collective conglomerate of Indian and Pakistani youth call for dialogue and recommend that individual civilians should take forward the task of uniting both nations. In the words of Diamond and McDonald (1991), Track II diplomacy refers to “non-governmental, informal and unofficial contacts and activities between private citizens or groups of individuals, sometimes called 'non-state actors’”. Having achieved considerable success in building a state of peace and creating a culture of rapport, empathy and unity, the youth have come together through a private peace initiative called the Building Peace Project, run by The Red Elephant Foundation in 2014-2015. The program brought 9 pairs of youth, with each pair comprising one from India and one from Pakistan, in a dialogue based on a loose curriculum that touched upon issues centric to both nations. In a bid to take this further, and to create sustainable change in favour of building a climate of durable peace, the group of 18 participants and the team at The Red Elephant Foundation, in collaboration with Friendships Across Borders, has called for a civilian peace-building process in the region. India and Pakistan share a history that bifurcated upon the partition of the Indian subcontinent into India and Pakistan, respectively, in 1947. Since the partition, the two nations have followed different trajectories with respect to their national policies and developmental pursuits, while certain differences with respect to territory, militancy and ancillary issues kept both nations in a deadlock for 69 years. The political and diplomatic impasse between both nations has left many issues unresolved, making the state of regional peace fragile. In the interest of the future of the subcontinent, particularly with political stability being the need of the hour, the youth of both nations come together to seek routes to unity using the tools of Track II diplomacy.